No level of government has more impact on daily life than local government. That’s why my colleagues and I at Cranberry Township are passionate about pushing the limits of excellence to provide the best possible services to our residents and customers. However, being well-served is not a passive achievement; it is a collective undertaking. Through this blog, we offer our personal reflections on that assignment. And we hope it will help engage you in joining us on that same collaborative mission. What is the most frequent question that residents ask us? Give up? It’s this: Why doesn’t Cranberry bring in a Taco Bell? Almost as frequent are questions to the effect of why does the Township bring in so many banks, or hotels, or drug stores? After all, who needs them? Good questions. Years ago, when the Township developed its planning vision for the Rt. 228 Corridor, some folks disparaged our plan as the “Disney Plan,” probably because it was so other-worldly, at least in their eyes. Of course, I can understand the confusion between Cranberry Township and Disney World. After all, we are each magic kingdoms in our own ways. In our case, however, that vision called for retail, residential, mixed-use and office space. That vision was translated into zoning regulations designed to conduct business in an appealing environment, and it was brought to realization by individual business and property owners. The Township can’t say no to another bank just because we don’t think we need one. That’s up to the market to decide. And besides, the property is privately owned. The owners have the constitutional right to develop that property within reasonable regulations adopted by the Township, consistent with state and federal law. If the business succeeds, great. If it fails, too bad. In either case, the role of local government is limited to making sure its ordinances and building regulations have been followed. Townships in Pennsylvania are permitted by state law to enact zoning regulations. If they do, they must provide for every use, even if it’s one that may not be well accepted by the public, such as sexually oriented businesses. If Cranberry Township owned all the property within its jurisdiction, we could invite or exclude whoever we pleased, at least within limits. But the Township doesn’t own the land. So unlike Disney World and their company-owned community, Celebration, Florida – an arrangement by which the company can develop it pretty much as it pleases – Cranberry is obliged to follow the laws of Pennsylvania. And Mickey is welcome to join us. Whenever you drive along Rt. 19, you can’t help but see “now hiring” signs on stores and restaurants up and down the road. What you don’t see as readily is that the Township’s advanced B2B technology and service companies are also looking for talent. But in their case, it’s for people with training in areas such as software engineering, robotics and CAD design, as well as for those with financial and other specialized business skills. I was put in mind of that recently when I attended the open house of a company, Omnicell, which was dedicating its office in Cranberry Woods. Omnicell, which last year acquired the pharmacy robotics company formerly known as Aesynt, is a West Coast company that specializes in automating the administration of medicine in hospitals, clinics and other settings. They have offices in a handful of U.S. cities as well as overseas. 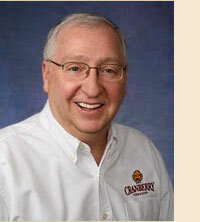 And now Cranberry is their single largest operation with 500 full-time employees. Back when I started as Manager of the Township, the economy of Cranberry was still largely agricultural, along with some light manufacturing built around the intersection of two Interstate highways in our southern tier. That was in the early ‘90s. But by then two things had already become clear: one was that the Township was destined to grow rapidly, particularly with the opening of I-279 which sharply reduced travel times to Pittsburgh. The other was that with the rapid advance of technology, knowledge-based industries were destined to surpass more traditional ones as the foundation of our economy. That was the point at which Cranberry’s Board of Supervisors made a courageous decision: they would step up and do whatever they could to guide the Township’s inevitable growth in constructive ways. Specifically, they wanted to shape Cranberry into an attractive and welcoming place for people to live. By offering residents a high quality of life, they reasoned, high quality companies would want to locate somewhere that could help them attract and retain talent. The Board also wanted to create a physical environment that would appeal to advanced technology companies looking for a home. And for that, they found a strong partner in Mine Safety Appliances Company, now MSA Safety, which had purchased a 332-acre tract of wooded land formerly used as a church retreat. That retreat is now Cranberry Woods Business Park. In hindsight, that seems like a natural decision for the Board to have made. But at the time, it was a real struggle, meeting with considerable resistance. However, the Supervisors understood the importance of expressing their vision clearly and then holding everyone accountable for fulfilling it. Over time, using a series of partnerships, ordinances, and strategic investments, we were able to transform Cranberry from an abstract vision into a tangible community that enjoys a high quality of life where residents and businesses alike can flourish. It is particularly gratifying because, back when I started here, one of the complaints I kept hearing was that so many children of Cranberry residents would leave here to find work once they had gone through college; there really weren’t any jobs here where a well-educated young person could start a career. Now it’s just the opposite. There are approximately 27,000 jobs in Cranberry today, including many well-paying professional positions. Most of them are filled by people who commute here from all over Western Pennsylvania and beyhond. At the same time, however, young people who grow up here now have a wealth of options to work, play and live – right in their own home town. It’s no secret that America’s volunteer sector has experienced a slow decline for at least the past 15 years. Observers have blamed it on a variety of things: people being too busy with work, spending too much time online, stress from changing family patterns, more frequent relocations, maybe even becoming too lazy. Some of those reasons may be valid. But there’s another explanation that those of us in Cranberry’s municipal government have been leaning toward: it’s that there hasn’t been sufficient investment in America’s volunteer sector. Without resources, nonprofits don’t have the capacity to engage volunteers effectively. To attract and retain volunteers today, you need to place a high value the volunteer’s time, provide them with the tools and training their work requires, strive to respect their family commitments, make their continued involvement as convenient as possible, and show appreciation for what they have accomplished. All of this matters a great deal to Cranberry and to every other community that depends on the vitality of its volunteer sector. Our athletic associations are an excellent example of what a strong volunteer commitment can do. But it’s our volunteer fire company that may be most mission critical. One of the core functions of any municipality is to respond to emergencies. The Cranberry Volunteer Fire Company, CTVFC, is a key strategic partner in answering those 9-1-1 calls. Back in June of 2015, the Township and CTVFC saw the challenges that faced us in attracting and retaining volunteers going forward. So we embarked on a Strategic Planning Process. It was grounded in a commitment to maintaining a highly qualified volunteer fire and rescue force well into the future. The most likely alternative – a full-time paid fire department – would have cost our taxpayers tens of millions of dollars. Our planning process involved a group of residents, firefighters, outside experts and Township officials. They examined every aspect of our current and future fire service needs. It represented our best collective thinking, and it resulted in a strategic plan which our Board of Supervisors and CTVFC formally adopted in 2016. The plan outlined a number of steps that needed to be accomplished. I’m pleased to report that implementing those steps is now well underway. Last year, the Township reorganized staff to devote four full-time professionals to support the fire company’s efforts. Just this month, our Board demonstrated its commitment to the Strategic Plan by authorizing $2.1 million in physical improvements to our two fire stations. And CTVFC, for its part, is completely restructuring how they operate, consistent with the Strategic Plan. All of this may be a gamble; after all, the decline among volunteers is not just a local issue; it’s a national problem with complicated causes. But after 27 years as Township Manager, I wouldn’t recommend that anyone bet against the collective wisdom of Cranberry Township’s residents.